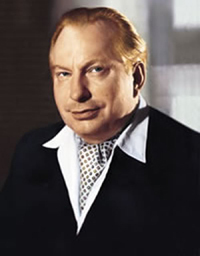 All that Freud and Orwell asserted about groups and political language has been proven anew with the improbable ascendancy of Donald Trump to President of the United States., an apparent doppelgänger of Scientology Founder L. Ron Hubbard—from his hair to flair for revenge. In a few short months of campaigning and governing, the pride of Mar-A-Lago has seemingly wiped out the last vestiges of civility, honesty and common sense in presidential politics and turned the Oval Office into a Ringling Bros., Barnum & Bailey side show. And yet, after all the lies, position flip-flops, erratic behavior, brazen conflicts of interest, childish, thin-skinned attacks on the media, offensive comments about minorities, women and the entire Middle East, not to mention the investigations into his curious relationship with Russia that has led us to the doorstep of impeachment, many of those who voted for him still maintain their unflagging support. For the love of sanity, how is this possible? I’ve been repeating that phrase for many months now, after each unconscionable act, events that would have torpedoed any other political campaign. And yet, here we are, on the precipice of calamity, with Trump eviscerating regulations that will loose the beasts of Wall Street and the energy industry, threatening to build a wall that will waste billions of dollars, spreading chaos in health and education, proposing massive cuts to programs that benefit the poor and promising to shut down any program or agency that could protect us from climate change and environmental abuses. Do you remember the megalomaniacal general played by Sterling Hayden in Dr. Strangelove? Don’t look now, but he’s President and commander-in-chief, the man with his finger on the button. Isn’t that a sobering thought? Of course, you want to know who to blame for this mess. But be careful what you wish for, because here’s the awful truth: Go look in the mirror. We elected this guy, something for which we will all have to atone. But for a variety of reasons, we may not have been in our right minds, a condition that must be fixed if we are to extricate ourselves from this Trumped-up world. After all, this has been the repeated course of history. First, think about the world that confronted contestants in the 2016 Presidential election. Our two controlling political parties were locked in a death spiral of gridlock, threatening the modest economic gains eked out of the long and slow recovery from the 2008 collapse. Our education system has long been in decline from general societal woes and a crippling decline in funding. Our general level of civility and morality has also taken a hit, exemplified by the black hole into which our culture has plummeted. Gone are the days of the Greatest Generation and the Golden Rule. We have become a society in which accomplishments of substance have been trumped by celebrity worship, real relationships have been trumped by vulgar and voyeuristic televised displays of family and group dysfunction and sanity, reason and thoughtful discourse have been trumped by, well, Trump. In such turbulent times, people reach out desperately for alternative solutions. In the 1930s, a lingering World War, and Great Depression stirred greater interest in “isms”—unionism, socialism, communism and Nazism. In the “60s, youthful rebellion against the Vietnam War and a generation of seekers trying to find their better selves led to a societal surge of spiritualism, so-called mind-expanding drugs, communes and the inevitable rise of oppressive cults whose narcissistic leaders claimed that only they knew the path to a glorious new world. So we looked the other way when the government discarded the presumption of innocence for suspected terrorists at Guantanamo Bay and allowed “aggressive” questioning. As the populace rallied around the flag, those who spoke against torture and a war in Iraq built on lies and deception were vilified. Not until the administration exposed an undercover spy because her husband dared to criticize the invasion of Iraq did the media wake up and take back its mandate to question government actions, leading to what amounted to a mass deprogramming of the American people. Dr. Schien also summarized the traits of a person capable of implementing such a regime—a leader who would initiate programs to liquidate those who are useless, to re-educate those needed in the new society, to purge the unfaithful to reaffirm the faith and to consolidate his power, satisfying the leader’s insecurity demands for unanimity and loyalty; a need to upgrade self to savior and judged favorably by history. If that does not sound familiar you have not been reading Trump’s twitter nor listening to sound bites. It’s the key to understanding the growth of cults and the manipulation of groups in general. What I have learned in my 40-year career as an attorney, most of it spent freeing people from the oppressive cults, is that totalist thinking infiltrates our everyday lives in ways both mundane and terrifying. First paranoia will lead to destroying opponents , even murder as Trump’s heros have done, Putin and Un. He admires the loyalty they receive. Then he must admire Charles Manson. Who received more loyalty than him? Forget what you think you know about brainwashing. It isn’t a mind trick, or a way to induce people to do unthinkable things, as in the so-called brainwashed assassin in The Manchurian Candidate, whose murderous instincts were triggered by a playing card. What Mao had discovered were tools—repetitive catchphrases, exhaustive schedules filled with didactic lectures, frequent exercises and little sleep, accompanied by constant peer pressure—that broke down people emotionally and psychologically and left them vulnerable to his ideas. His subjects didn’t become hypnotized robots, they became true believers, convinced that the master knew the path to righteousness. Destructive versions of this coercive persuasion can include churches proselytizing for new members, political parties seeking to sway undecided voters, even sports coaches persuading their young charges to “buy in” to their philosophy. So are advertising and marketing, the massive economic engines that seek to mold our consuming habits in a variety of subtle and not-so-subtle ways. Then there’s the military. How else can young soldiers be convinced to charge up hills and kill strangers? It’s part of human nature to seek out common cause through groups of peers. But it’s also human nature to over-identify with these causes, which makes us vulnerable to manipulators. For years, I have seen the specter of totalist thinking in everything from self-help groups to religious fanaticism and even the overreaching fiats of our prior two Presidents. It didn’t surprise me. In times of social upheaval, we desperately seek clarity; so we attach ourselves to the appealingly simplistic messages of fanatics and, in our fervor to create a better world, vilify doubters as enemies who need to be conquered. 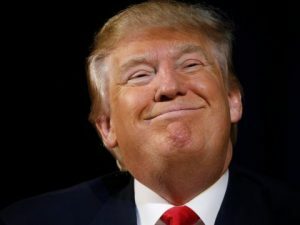 And so, I give you—I should say, we gave ourselves—Donald Trump, who told us he could drain the swamp, make us winners again, make America great again. The banners and slogans may be somewhat different from tyrants of old but are similar as never backed by facts while violence and revenge is approved. And in Trump’s words, I hear the chilling echoes of Adolf, Stalin and Mao. Is America First that much different from Deutschland uber alles? Trump recently asked a group of UN ambassadors whether they liked the U.S. envoy he appointed to the body, Nikki Haley, who had been getting stellar reviews in the press. “Otherwise, she can easily be replaced,” he said. Long-time Trump observers said the joke was a common Trump ploy to keep popular underlings uncomfortable. Tyrants have always displayed these traits. Messrs. Putin and Kim Jong-un know something about disposing of threats to their power, don’t they? Trump’s firing of FBI director James Comey, who represented a threat to his agenda, echoes when Scientology”s David Miscavige took control after Hubbard’s death; he “retired” Hubbard’s wife as well as the president of Scientology– they were no longer heard from. Synanon’s Charles Dederich said “you’re fired” to many followers who became too popular and declared a holy war against the press after a Time magazine article declared Synanon, which began as a drug rehab center, a “kooky cult.” Jim Jones murdered those who would expose him. And don’t forget Trump’s campaign threats to imprison Hillary Clinton after he was elected. “I would say it’s chilling that Donald Trump thinks that the presidency is like some banana republic dictatorship where you can lock up your political opponent,” Robby Mook, Ms. Clinton’s campaign manager, told CBS This Morning. What really troubles me is how willingly we fell into this and how many people still believe he is our savior. It’s easy to look at cults and say it couldn’t happen to you. Jim Jones could never have convinced you to drink that Kool-Aid at the Jonestown Massacre. But 900 people did. And Trump was elected despite media exposing him. The truth is, the Jonestown victims weren’t bad people, for the most part, and neither are the Trump voters (just misguided). Both groups were and are convinced that they’re doing the right thing. But under the right circumstances, unfortunately, right-minded people can be induced into doing wrong-headed things. In 1974, for example, psychologist Stanley Milgram, attempting to make sense of atrocities like the Holocaust, induced volunteers to deliver increasingly heavy electric shocks to patients who answered questions wrong. The volunteers were told they were contributing to an important study aimed at improving people’s memories under stress. While the shocks were faked, along with the patients’ screaming, 92% of the volunteer pool who tested as “obedient—about two-thirds of the total pool—were willing to deliver lethal doses when paired with more aggressive, willing partners. And these subjects weren’t feeble or addled; they were drawn from a typical working class pool, including professionals and manager. Likewise, Trump supporters, most far from being the “incorrigibles” described by Ms. Clinton, are largely honest, working-class folks who are angry and frustrated and have every right to be. Their country has passed them by without even acknowledging their pain and their government has largely failed them. No wonder they are ripe for the tempting, easy-to-digest buzzwords served up by Trump along with the straw men—mostly foreigners–he set up to take the fall. “Bad hombres” from Mexico who come to rob and sell drugs; terrorists from the Middle East coming to kill us; foreign leaders from Asia who foisted their terrible trade deals on us and supposed allies from Europe who won’t won’t pay their fair share of NATO costs. But did we realize he would appoint a Royal Family? He is like a six year old cuddling the tirle President, secretly preferring to be King, Emperor or Pharaoh. Everyone obeys them and dissenters exiled to towers, chains or death. America must concentrate on solving the very real, monumental problems we’re facing today and do it with reason and civility. If we continue to demonize those who don’t think like us—which has been a pox on both of our political parties—we will continue to wallow in gridlock. It starts with teaching more than just the structure of government in schools. We have to get the next generation actively involved in the political process and informed on issues. Political candidates should be required to take the MMPI exam. From my personal perspective, we need to stop the worship of sociopaths and cut off their supply of fresh young minds. And the only way to do that is to teach our children the history of tyrants, the emotional hold of movements and the effects of their use of undue influence to sway minds. This is real-world stuff and our kids have to be ready for it. We can keep blaming the Pharaohs, Emperors, Hitler, Stalin, Manson, Dederich, Jones, Hussein, drug lords. Putin, Bin Laden and ISIS and keep spinning our wheels, or we can point to ourselves and do something about it. The seeds of this revolution are starting to sprout. .A young kid has organized a plan for saving the ocean from plastics Thousands are marching on D.C. and in other locales. Local groups are demanding town hall meetings with their government representatives to keep their feet to the fire. High school kids raised money to stop Trump from destroying the earth. Another group got a school district to declare school grounds a sanctuary for minorities. Scientists have started a foundation to teach scientists how to run for office. It’s the 60’s again. Our future lies in these grass roots movements. So make a list of companies using fossil fuels, poisoning water or polluting the atmosphere and don’t buy their products. We, as consumers, hold the fate of these companies in our hands. If we want to influence their behavior, we have to organize and leverage our financial power. Pick a day of the week when people all over the country boycott airlines. As they say, vote with your feet—and your dollars. And, of course, vote. And I don’t mean just show up and guess. Inform yourselves on issues that really matter and the candidates who stand for what you really believe in. Don’t just listen to buzzwords and simplistic solutions. Even Mr. Trump is learning how wrong-headed that is. So who would you rather be? Trump’s hero Jackson, or my man Crockett? Because as Trump’s reign grinds on, we’re all going to be forced to make that choice even if Trump himself doesn’t make it to the next election. Even more important that 2020, however, are the elections of 2018, our next chance to reshape Congress. So vote for people who are interested in serving the people and not themselves. If you don’t New York may soon resemble Venice, Italy. Sink or swim.